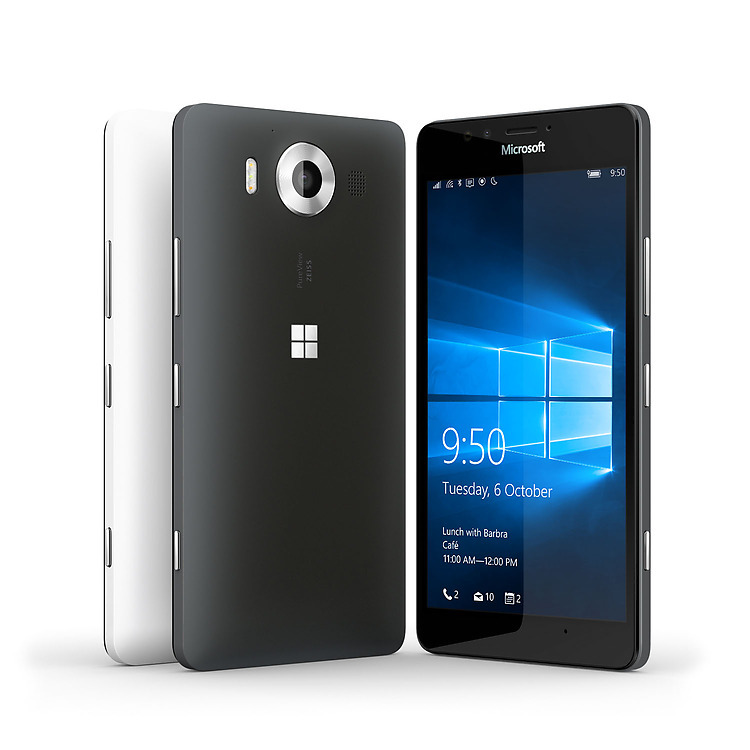 Microsoft Lumia 950 will be available from AT&T at $549 off-contract. There is no information regarding on-contract pricing at this point. Announced back in October, the Lumia 950 smartphone has already been confirmed by Microsoft to be an AT&T exclusive in the US. However, up to now, there has been no information regarding availability date. Today, we learned that Microsoft’s new hadset will be available in the US since November 20th. The Redmond giant will start taking orders for Lumia 950 this Thursday (November 12th). Initially, the Lumia 950 was supposed to launch earlier but reportedly Microsoft had to fix some issues with the iris scanner that allows the phone’s front camera to recognize the user and unlock the device. Microsof Lumia 950 features a 5.2-inch, 2560 x 1440 resolution display. The handset runs Windows 10 Mobile and is powered by Qualcomm’s Snapdragon 808 SoC with 3 GB of RAM at its disposal. There’s 32 GB of on-board storage space (partly taken by the OS), expandable via micro-SD card reader. The Lumia 950 features a 20 MP main camera as well as a 5 MP front unit, with the built-in iris scanner we mentioned before. The removable battery’s capacity is 3000 mAh.